Baron Fig is an American stationary company that had its start on Kickstarter back in September 2013. The Confidant was launched then subsequently they launched their web store and many other paper and non-paper products were introduced to the market. I must say Baron Fig is one of the few young companies that have been rather successful in the recent years. I had been aware of them since the Kickstarter but I was always reluctant to buy paper from overseas since shipping cost is going to be a factor. However with the introduction of cheaper 3rd party shipping, it has open up the opportunity to try such products. Baron Fig has a number of paper products. 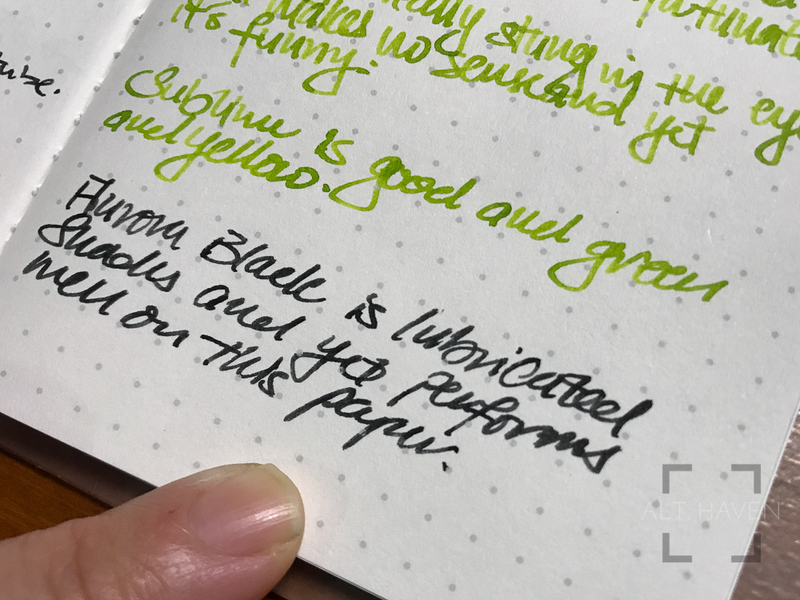 Today this review will be concentrating only on the Baron Fig Vanguard. The Vanguard is basically a soft cover notebook that comes in 3 sizes, namely the Pocket, Flagship and the Plus. They come in 2 colours the Light Gray and the Charcoal with an option of dot grid, lined or blank. They are sold at USD$9, USD$12 and USD$15 for a pack of 3 for the Pocket, Flagship and Plus sizes respectively. I went with the dot grid which is my favourite. The Pocket has measures 3.5" X 5" (Basically Field Notes size) and it has 48 pages in each notebook. I opted for the light grey cover. The Vanguard is stitched bound with yellow thread. I like the choice of the yellow thread as it is a nice colour against the light grey cover. The stitching is secure and I believe it will stand up to the stress of day to day use. The exterior is a light grey card stock and the interior is acid free fine grain paper that is fountain pen friendly. The paper itself is not bright white but I’d say it is white enough to consider it such. The dots are grey and somewhat on the large side. Personally I found the dots a little too obtrusive, I would have preferred them smaller and/or lighter in colour. The soft cover is nice and pliable and it fits in the Nock Co Sinclair easily. Given that it’s dimension is identical to the Field Notes’ you won’t be hard pressed to find any cover or accessories for it. 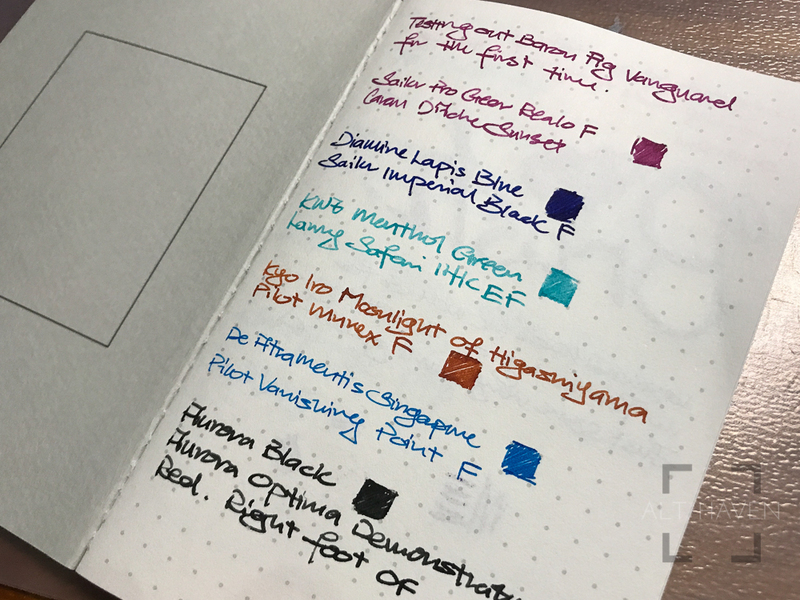 The paper is probably the most important quality for me as a fountain pen user and I’ve tried the paper with a variety of ink and nib combination. I’ve yet to encounter any feathering or bleed through. Of course I am not a user of super board and wet nibs. 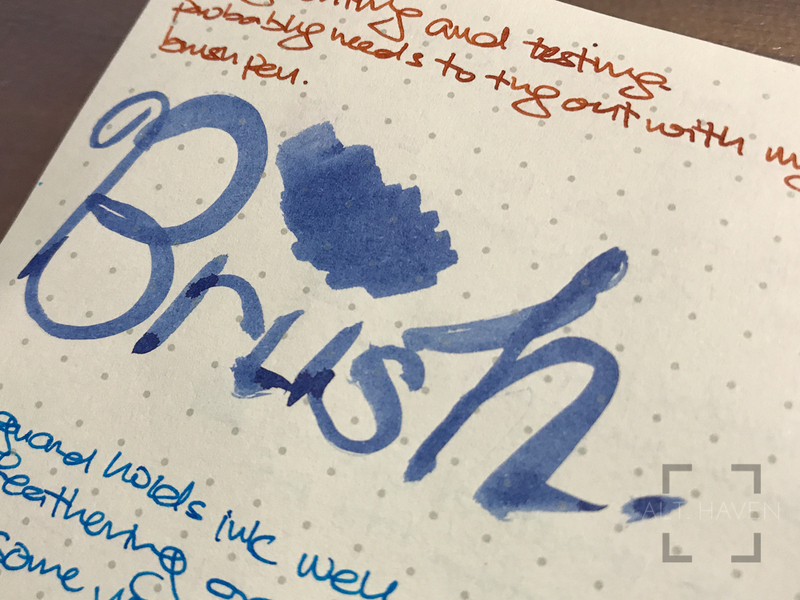 My wettest and broadest is probably the TWSBI Eco with the right foot oblique medium nib, there was no bleed through or show through. The paper impressed me but I don’t think this is the type of paper that show off the quality the ink used in terms of sheen. I purchased this item with my own money.